When reading about the history of Yallourn ,information related to the various workers’ camps and hostels can be confusing. The list and the map (below) attempt to clarify where (and when) the camps were established for workers in the Yallourn area. 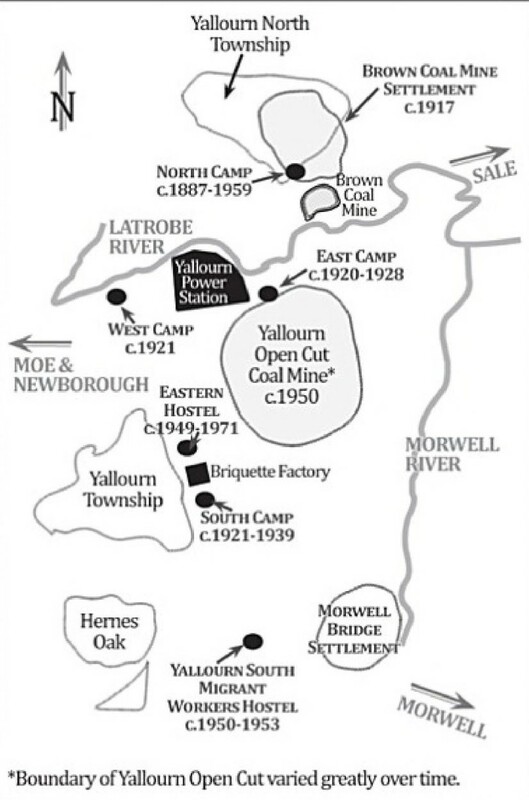 In the period 1887-1971, there were camps for workers at the Brown Coal Mine, Yallourn and near Hernes Oak. The map of the camps at Yallourn was originally published in Joseph Sestokas’ book entitled ‘Welcome to Little Europe. Displaced Persons and the North Camp’ - Little Chicken Publishing - 2010. The camps are an intriguing part of the history of Yallourn as they provided rudimentary living quarters and some sense of community for thousands of workers (many of whom had come from far-flung corners of the world seeking a new life in Australia). As can be imagined, life in the camps during the depths of winter and the height of summer would have been taxing. 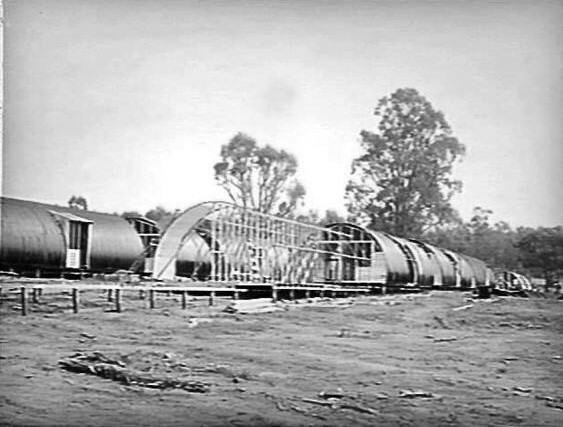 The nature of the work, in the early years of the Yallourn Project, was onerous; and the Spartan accommodation and conditions, provided for the men, were also a test of fortitude. The following photographs try to give some understanding of the various camps in and around Yallourn throughout the years. The photos are taken from various sources such as the State Library of Victoria, newspapers of the times, Prue McGoldrick’s history of Yallourn entitled ‘Yallourn Was’ and the Museum of Victoria collection.